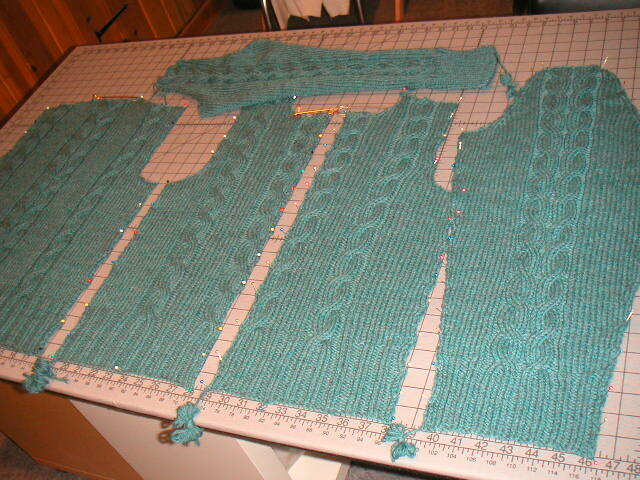 I finished my sleeves last night and just pinned all my pieces for blocking this morning. I ran out of room for the second sleeve, so I'll have to overlap it on top of some of the other pieces. I should be ready to knit on the hood tomorrow!